Delhi: M. Sreeshwan of Telangana (Rating 2064) held Grand Master M.S. 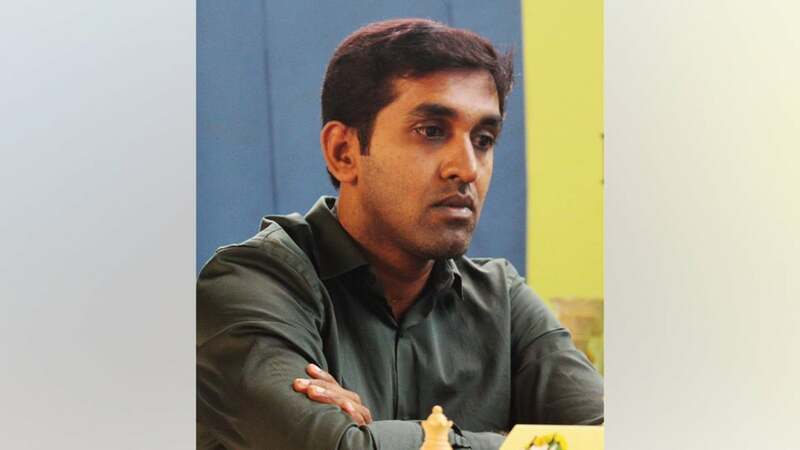 Thejkumar to a draw in the sixth round of the Commonwealth Open Chess Championship 2018 at Delhi on Saturday. After six rounds, GM M.S. Thejkumar, seeded eighth in the Tourney, has secured 3.5 points and is placed 64th in the rankings. In the fifth round, GM Thejkumar beat AGM Vinay Thomas Abraham (Rating 1938). GM Vaibhav Suri of Delhi, Sankalp Gupta of Maharashtra and IM G. Akash of Tamil Nadu are jointly in the lead with 5.5 points from six rounds and are placed one to three in the rankings. IM S. Nitin of Railway with 5 points is placed fourth and GM Deep Sengupta with 4.5 points is placed fifth.